These days, everything is online – shopping, correspondence, banking, movies, food delivery – and these services certainly make life more convenient and can bring the world to your home! Dance classes online are not a new thing. You can take just about any kind of class online, whether it be free on YouTube or through a paid subscription service. 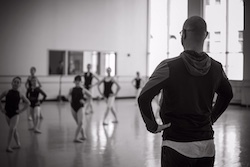 But what if, more than just following along with a class, you could have a private lesson with a professional principal ballerina, who can cater the lesson just for your goals, bringing world-class teaching directly to you in real time? Doesn’t that sound amazing?! The idea came about this past spring when the couple received requests via social media for private online lessons from dancers in such locations as Kansas and Alabama. Lauren Fadeley Veyette and Francis Veyette. Photo by R.L. Furlong. VVBS offers private lessons via Skype, with the Veyettes in their converted home studio on one end and the student in anything from a small area in his/her home to a rented studio on the other end. All that is required is a webcam, Skype, something to hold on to as a ballet barre, a flat surface to work on the exercises safely and the “Ballet Class” app, which enables the Veyettes and the student to set exercises to a specific tempo with music that both parties have. 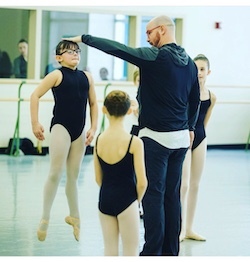 Lessons can be created in terms of the student’s needs or goals – whether it be coaching on a Nutcracker variation or Youth America Grand Prix solo, or working on more turnout or control. Classes can be with Lauren and Francis as a team or one-on-one with either of them. “We like to think of ourselves as ‘tutors’ in that we offer additional assistance in their ongoing practice,” Lauren says. 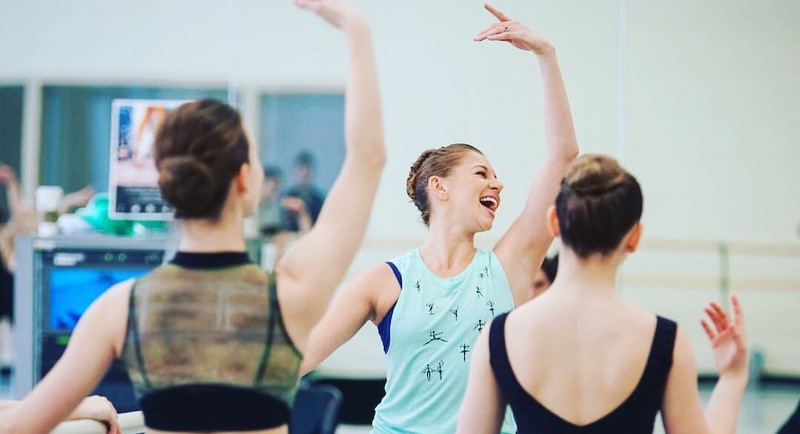 Already, the Veyettes have received requests from pre-professionals, recreational students who do ballet for fun and want to gain the strength to go on pointe, and professional dancers who are seeking help on jump sequences and tricky partnering lifts. And for parents of private students who may be wary of web communication and the vastness of the internet for their children, Lauren assures that students are safe with VVBS online. In fact, “parents are able to watch the entire lesson and be a part of their child’s growth, when most times they aren’t allowed in the studio,” she says. The Veyettes are passionate about teaching and passing on to the next generation, or anyone who wants to learn, and they’re excited about the opportunity to be able to offer world-class training to dancers, no matter where they live. For more information on Veyette Virtual Ballet School or to book a lesson with Francis and Lauren, visit www.veyettevirtualballetschool.com. Teaching photos by Alexis Ziemski and April Singleton.